Literacy of Northern New York trains volunteers to work one-to-one with adults who need help with reading, writing, math or English as a second language in Jefferson and Lewis Counties. Our offices are located in Watertown and Lowville. We provide one-to-one tutoring to adults who are non-readers up through 8th grade level. Our tutors help with reading and math content for students who want to pass the TASC test (formerly GED). The TASC test is the high school equivalency test. We also provide tutoring to adults from other countries who are learning to speak English. In addition, we conduct English classes so our students from other countries have a chance to socialize as well as learn. 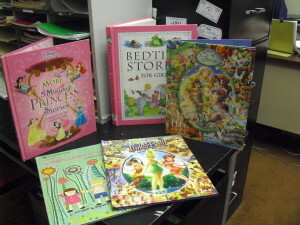 We also give away hundreds of children’s books to impoverished families every year. 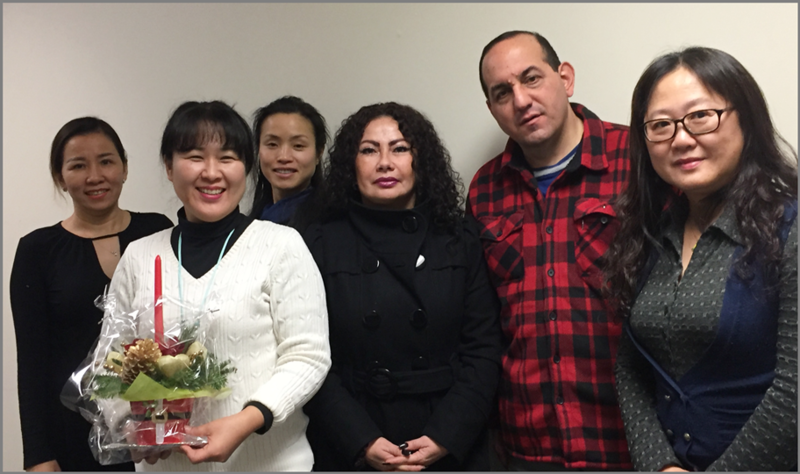 We train volunteers to use professionally developed methods of teaching basic reading and English language learners. Volunteers can either attend an in-person training or an online training. Our one-to-one tutoring is individualized and confidential. Tutoring is done at a time and place convenient to both the tutor and the learner. We use libraries, churches, municipal buildings, and other public places for the tutoring sessions. Adults with low literacy skills don’t respond to literature, especially if it is sent through the mail. Adults who can’t read well may say, “I can’t read this now because I forgot my glasses” or “I don’t have time to fill out this form today. Can I bring it back tomorrow?” They make excuses because they are embarrassed about their poor reading and writing skills. Illiteracy is often an inter-generational problem. We want to break this vicious cycle by reaching out to parents and other adults today. If you know any individuals whom you believe could benefit from our confidential and free literacy program, please ask them to call us at 315-782-4270. We assess every student, write up an individualized learning plan and provide the books and materials free of charge. Once learners are assessed, we provide them with a tutor. We periodically retest students to see what they have learned and what areas they still need to work on. Referrals ~ To refer a person, if possible, please have the person who needs literacy assistance call one of our offices. You can also use our Contact page. If you are a referring agency or a concerned friend, please call one of our offices for more information about our programs. You can also send us an e-mail. You can find information about us on our Fact Sheet and the Reasons adults come for help. 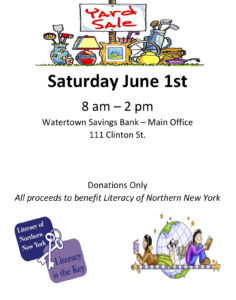 Literacy of NNY is a United Way of Northern NY partner agency.